Rectangles have much importance in our life rather than just being called a shape to study area and perimeters. 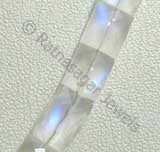 Here, we are introducing to you Ratna Sagar’s Faceted Rectangle shape, an amazing shape that will win your heart with its classy design. 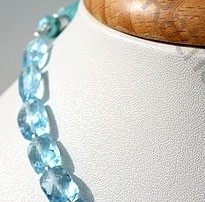 The awe-inspiring shape represents beautifully the feeling of love. 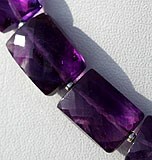 The faceted rectangle shape of gemstone beads is undoubtedly amazing. 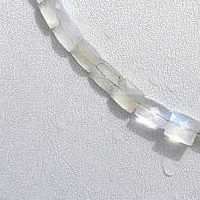 It needs immense experience, skill and hard work to make the shape. 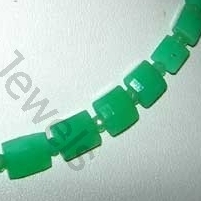 Let us take a quick look at its manufacturing process. 1. Separation of fine material from raw material. 2. 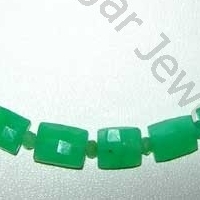 Micro cutting the gemstones using Ghaat machines. 3. 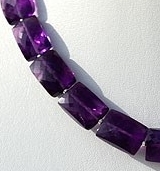 Faceting the gemstones either vertically or horizontally as per customer need. 4. 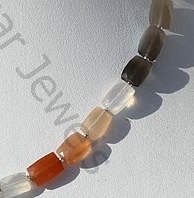 Carefully smoothening the gemstone using Parsan Machines. 5. 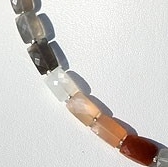 Drilling the gemstones using a wire that is either .40mm or .50mm in diameter. 6. 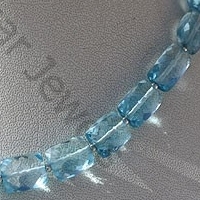 The final step involves making 8 inches or 16 inches strands using handpicked beads. 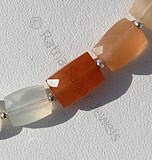 The faceted rectangle shape beads are available in various precious and semi precious stone. 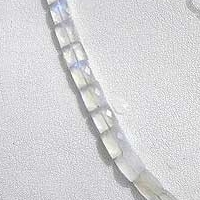 The most popular being Rainbow Moonstone, Amethyst Gemstone, Blue Topaz, Chrysoprase Gemstone, Peach Moonstone faceted rectangle beads. 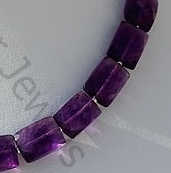 Order today Faceted rectangle gemstone Beads, and get the powers of gemstone in an amazing rectangular design. 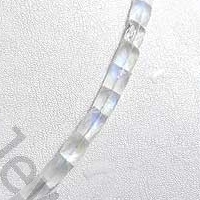 Natural Moonstone is a member of feldspar group and its glowing color sheen resembles the moonlight, possess property of transparent and are available in white color with blue power in micro cut, Rectangle Shape. 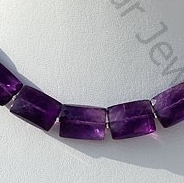 Amethyst Gemstone is a variety of the natural mineral quartz, possess property of transparent with vitreous luster and are available in deep purple color with micro cut, Rectangle Shape. 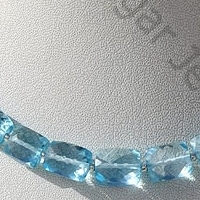 Blue Topaz Gemstone is irradiated and heat treated with colorless natural transparent Topaz to produce a more desired blue, with vitreous luster and are available with sky blue color in micro cut, Rectangle Shape. 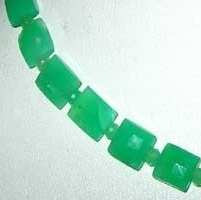 Natural Chrysoprase Gemstone is nickel-rich Serpentine deposit, possess property of translucent and are available in light minty-green to a deep apple green with micro cut, Rectangle Shape. 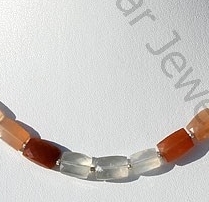 Natural Peach Moonstone is a variety of feldspar, possess property of semi-transparent with opalescent luster and are available in white-orange-grey color with micro cut, Rectangle Shape.